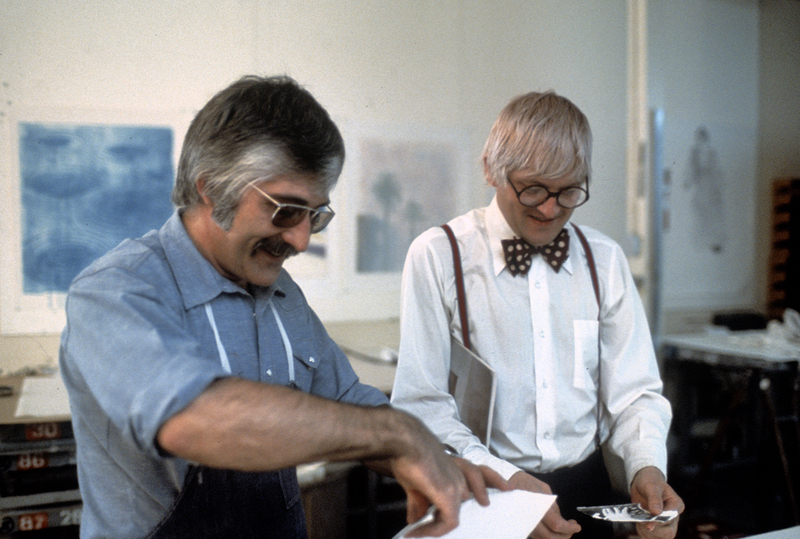 The 1976 documentary film Reaching out: Ken Tyler, master printer takes viewers into renowned print workshop Gemini GEL, Los Angeles, providing us with behind-the-scenes footage of master printer Ken Tyler at work with Roy Lichtenstein and David Hockney. Along with author Michael Crichton, they discuss artistic philosophies and Tyler’s collaborations with major contemporary American artists. 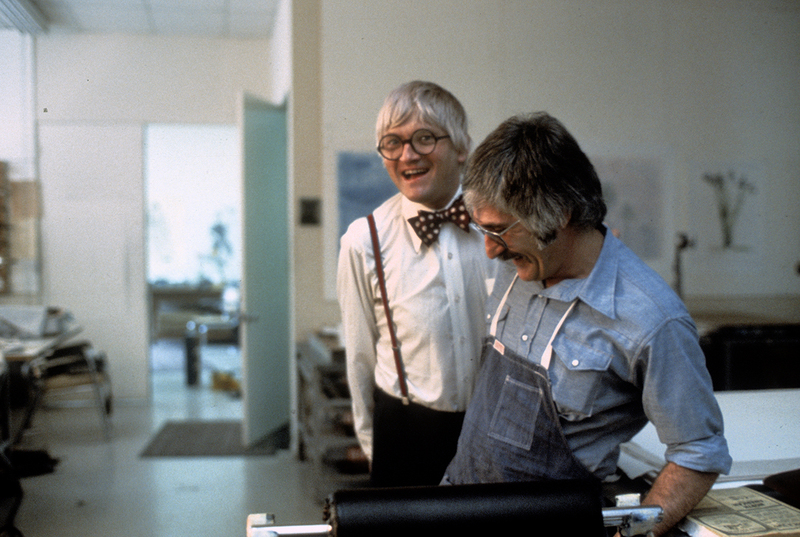 One half of the film’s directorial team, Sid Avery (1918-2002), also happened to be a celebrity photographer notable for his ability to capture some of Hollywood’s biggest stars – Elizabeth Taylor, Marlon Brando, Frank Sinatra – in refreshingly intimate, candid moments. 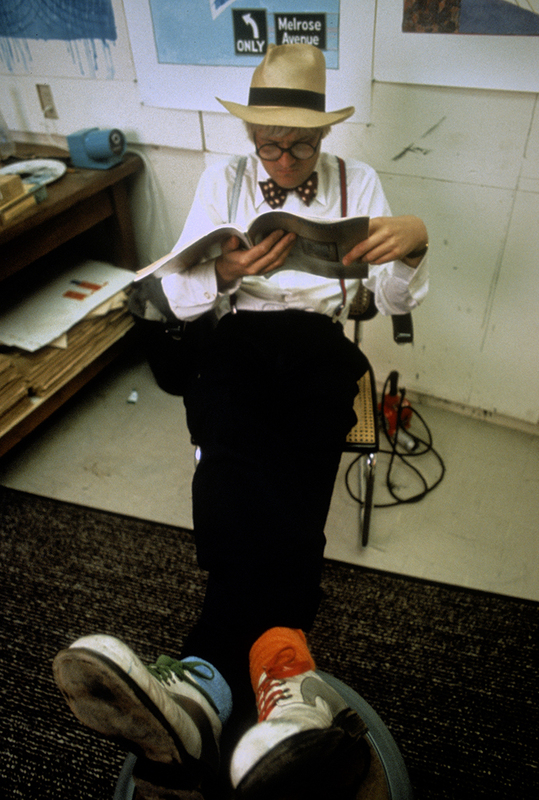 An article by Michael Callahan in Vanity Fair last year titled ‘Hollywood’s private eye’ paid homage to Avery’s achievements and shared some of the intriguing stories behind his celebrated shots. Be sure to have a read. 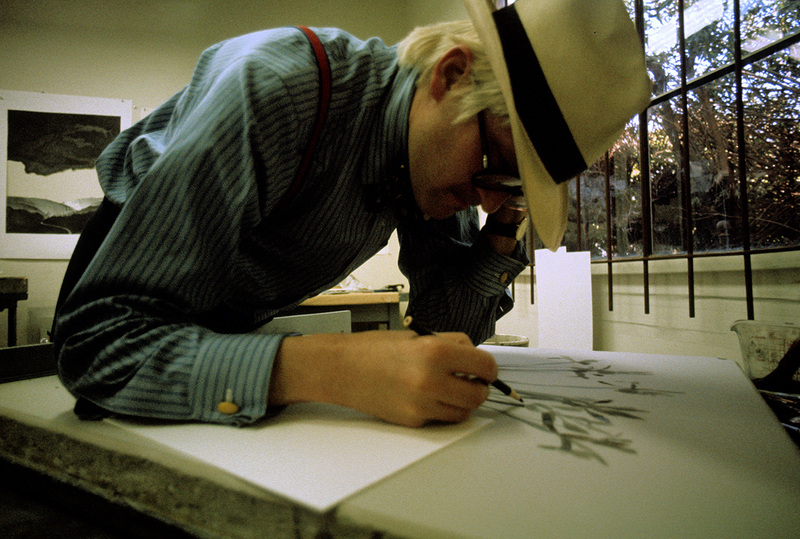 The Tyler Photographic Collection is fortunate to have a number of photographs taken in 1973 by Avery during the filming of Reaching out, some highlights of which we share here. 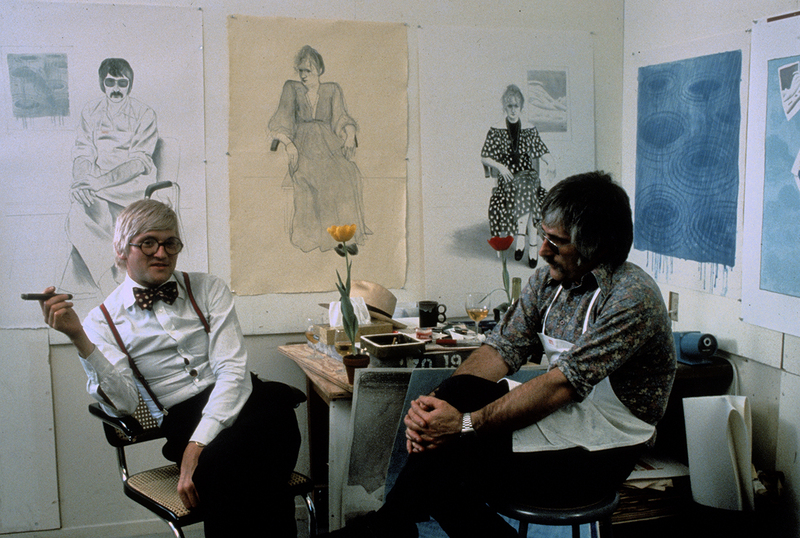 Not only important visual records of the printmaking process, the photos give us a glimpse of the unique relationship between Tyler and Hockney; a collaboration which spanned almost three decades. Lee Tirce and Sid Avery of Avery/Tirce Productions. 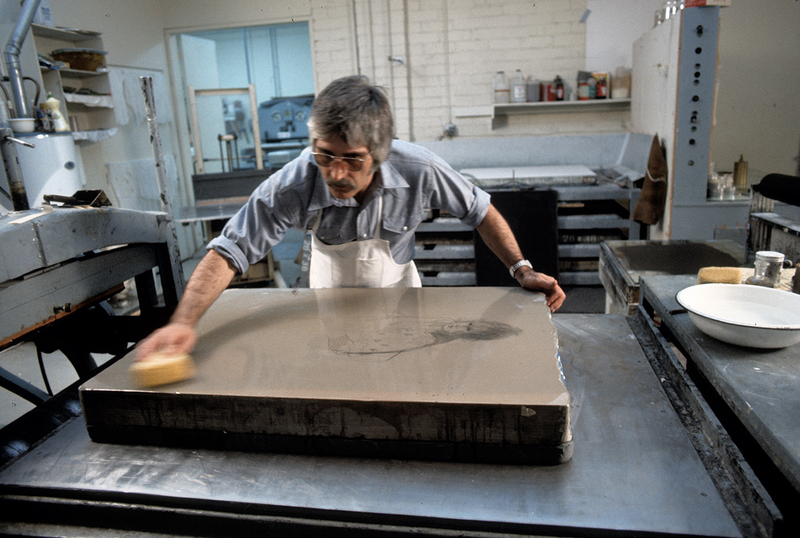 I was ignorant that such a great film existed ‘The 1976 documentary film Reaching out: Ken Tyler, master printer’ now I need to get a copy to watch.